Find the estimate on your auto loan rate or monthly car lease payments in the Phoenix or Mesa areas by using our payment calculator. Determine your purchase price for your Mercedes-Benz E-Class or GLE with this easy-to-use tool. If you find you have questions about this tool or about our models, don’t hesitate to reach out to our knowledgeable staff. We’re standing by to help you through the car-buying process, starting with finding the right model for you. When you need us, we’re available to help service your vehicle and provide discounts on parts. 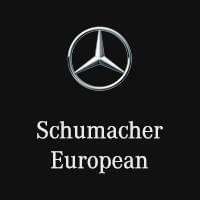 Even for those scheduled maintenance appointments to care for your vehicle, bring it back to us at Schumacher European. Contact us today!